A great way to share your favorite recipes with family and friends. 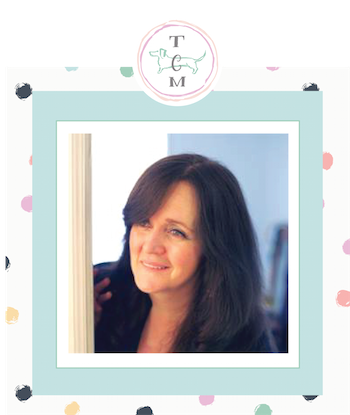 Why not print a stack of them… that way when you need a little gift…just tie a piece of pretty bakers twine around them and they will make someone smile. 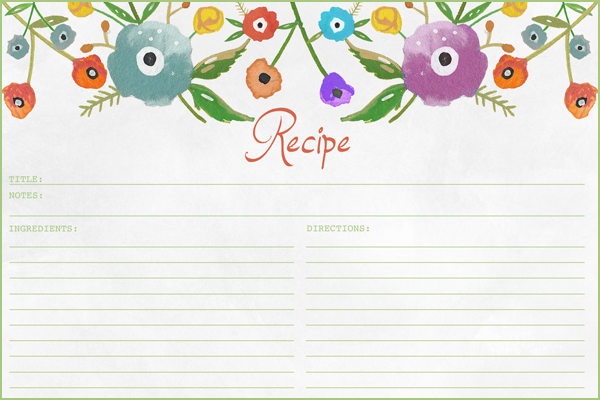 It’s really nice if you add a handwritten recipe of your own too…in this digital age sometimes receiving something hand penned is a refreshing treat. 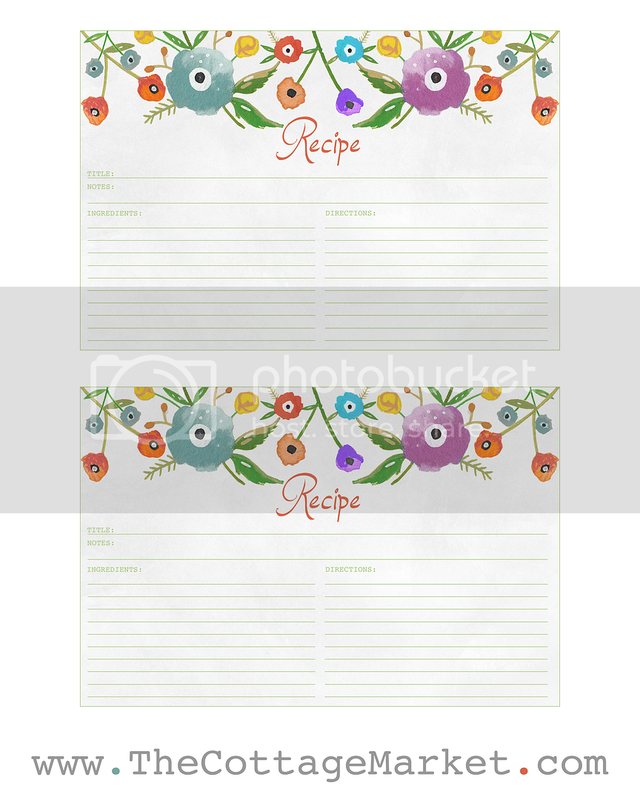 So take out your card stock and print a page of 100. 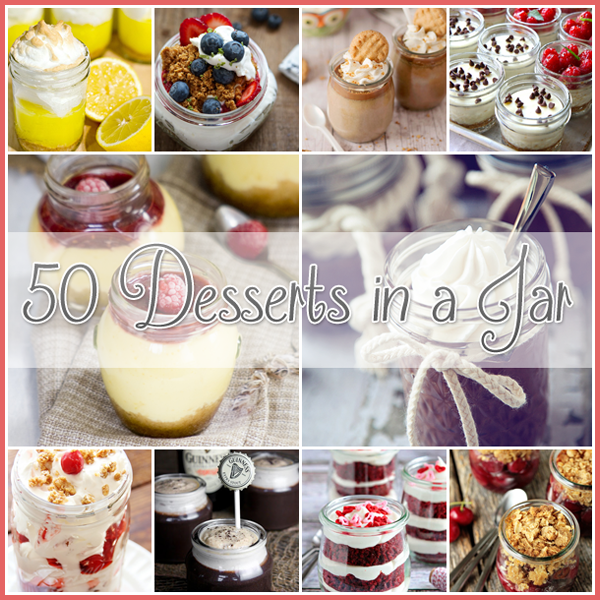 Hope you enjoy them…they were inspired by anthropolgie’s recipe card that I love. 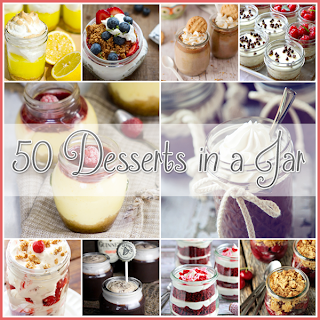 50 Desserts in a Jar! 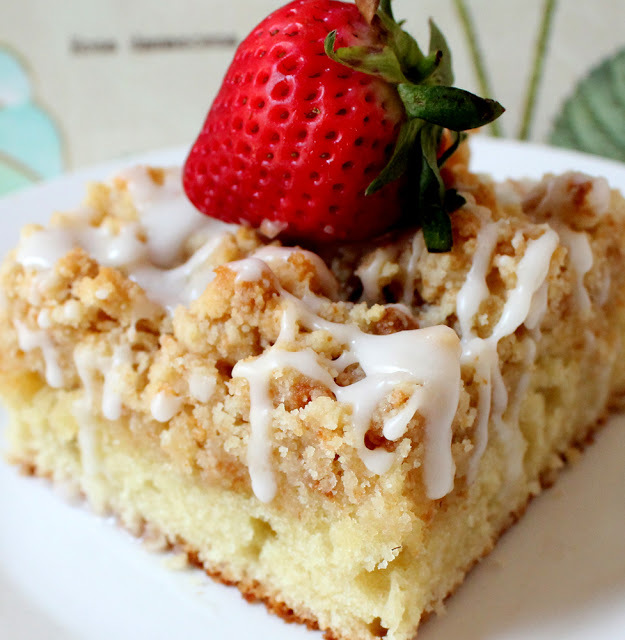 Martha Stewart Meets Cake Boss Crumb Cake! 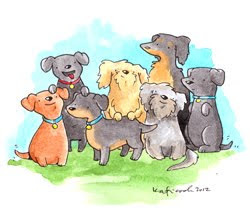 Take Five will be back tonight…my little doggie Pops was feeling a bit under the weather last night and needed the whole families attention. Thank you, they are lovely and always needed. 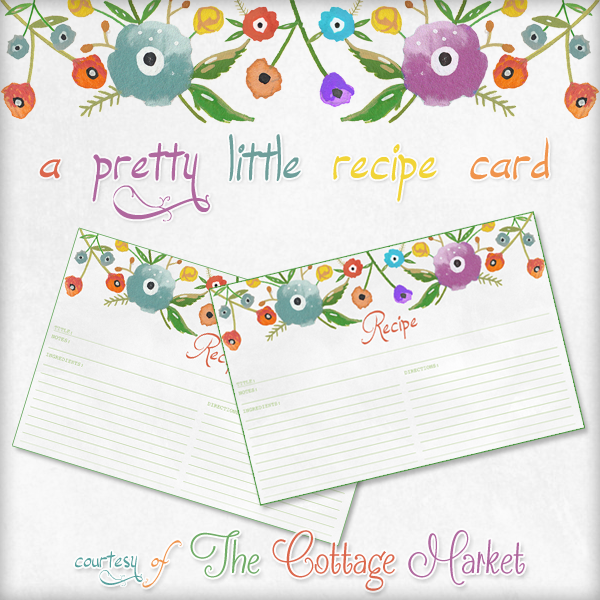 I love the many recipe cards but have a HUGE file…..all in 3 X 5’s. Is there the option for the smaller size (this was more popular in the “olden days”. Hi there! We will see what we can do …but have you tried pic monkey…you can resize things there : ) ENJOY!